Finally, some progress! Well, mostly. 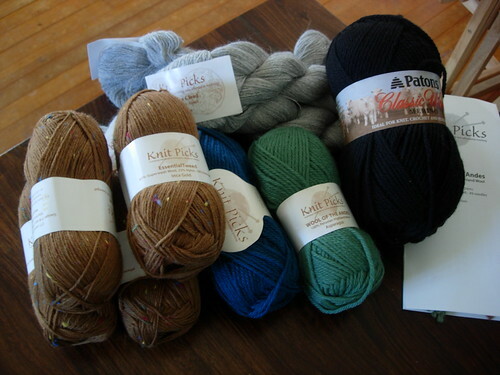 I got my Knit Picks order last week of yarn for the aforementioned backlog of projects. 1. Scarf for Dad- Campus Scarf from Scarf Style, in one color only. Yarn: KP Essential Tweed Inca Gold. I am double stranding it on 6s or 7s. Probably. It's also more brown than in the catalog, which is good. 2. Shawl for Mom- Guinevere from Wrap Style, in Alpaca Cloud smoke. 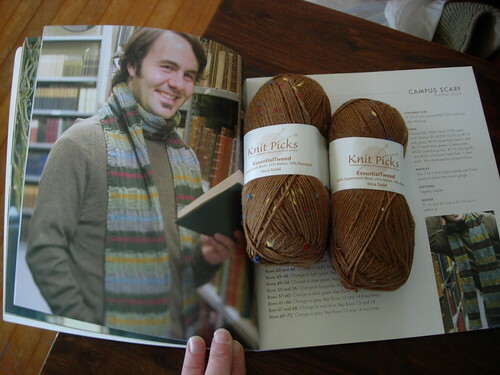 I have the needles for this- yay! 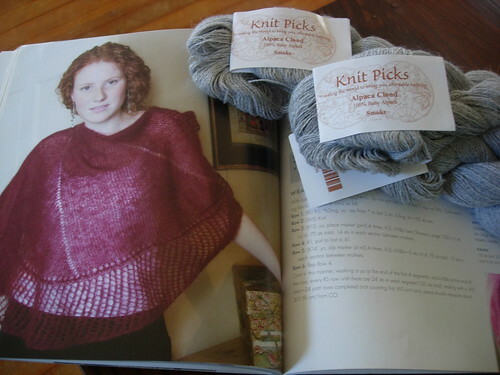 It'll be my first time knitting with a laceweight yarn. 3. Felted stuff- clutch from One Skein, boxes from Mason Dixon Knitting. 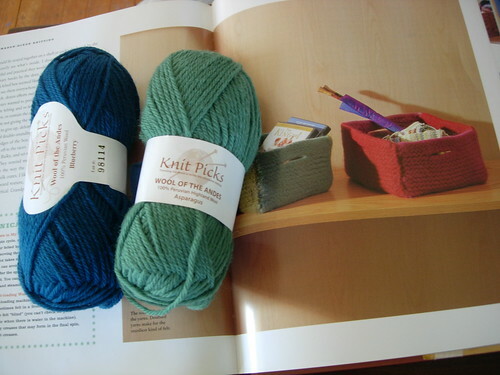 I am hoping these are quick knits. I'm also still working on Elbac from knitty, and it is moving along much faster now that I'm marking my rows with paper clips. It was taking so much time trying to remember if I was on row 2 or 3, or worse, 4, of the repeats. I still have 50 some repeats to do, but it's going quickly.